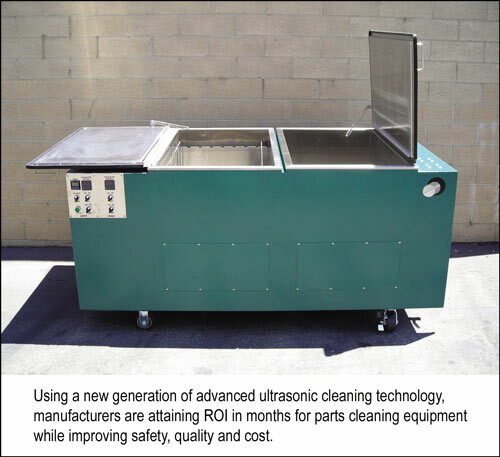 Ultrasonic baths can optimize gear cleaning in terms of safety, quality, and cost. 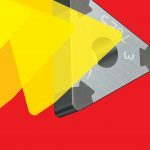 The following tips will help you get the most out of this application. 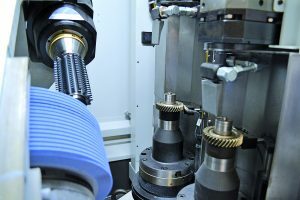 The techniques for manufacturing gears and gear components do not differ dramatically from other industries. 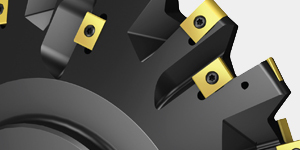 Precision cutting, grinding, polishing, and buffing are all part of the process. 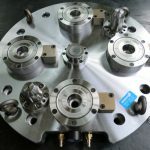 But manufacturing is not complete until the gear assemblies and other gearing components are cleaned and thoroughly prepped for shipment. 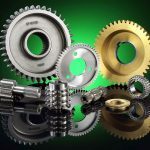 Gears’ blind holes, threaded holes, and precision teeth add a degree of cleaning difficulty not generally seen in other machining applications. 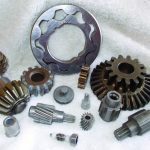 Ultrasonic parts cleaning of gears and gear components is commonly used to streamline the manufacturing and maintenance processes, and it is well-known for improving quality and safety while increasing profits. 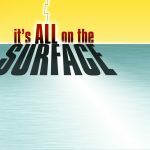 When it comes to ultrasonics, there are a plethora of options. 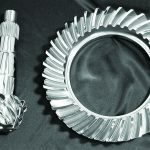 From small commercial tabletop models for light duty applications, to single station floor models that handle the largest variety of cleaning applications, to multi-station consoles for more-complex cleaning requirements, there is an ultrasonic product that is right for most gear cleaning processes. 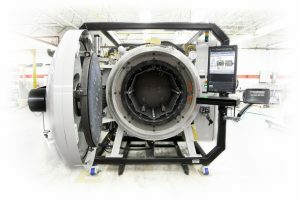 Multistage consoles can even be designed with automated robotic systems to deliver baskets of parts to multiple washing, rinsing, and drying stations. 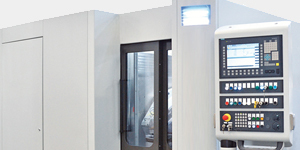 Robotic consoles are normally used in high-volume, high-precision cleaning applications such as medical instrument manufacturing. 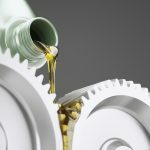 Just as a computer needs to run the right software to achieve your aims, the same is true in gears and parts cleaning. But if the cleaning equipment is the hardware of parts cleaning, then the chemistry of the cleaning solution is the software. So, to be effective you’ve got to match the chemistry of the cleaning solution to the application. 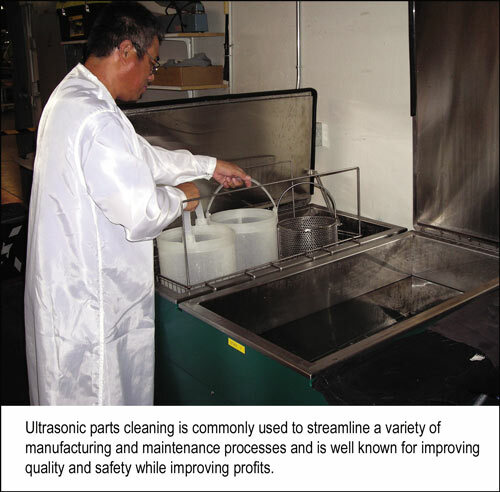 Some companies, such as Omegasonics, stock about 40 chemistry-specific cleaning solutions since parts cleaning applications can be chemistry specific. For instance, when cleaning off contaminants such as dirt, soil, oil, light grease, or carbon, you generally want a high-pH alkaline soap since acids have a low pH value. High-pH alkaline solutions can clean almost anything, but if pH goes too high—especially with softer metals such as aluminum—you can damage the part, so be careful. 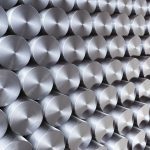 Hard metals like steel, stainless steel, and titanium can handle high pH values, but steel is more prone to rusting with water-based chemistries. 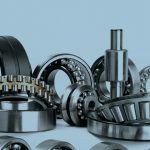 Thus, steel or other ferrous metals require either a built-in rust inhibitor in the cleaning soap or a secondary rinse in a rust inhibitor. For water-damaged metals contaminated with rust or calcium deposits, you want to use a low-pH acidic cleaning soap. Acid removes the top layer of metal surface and can actually shine metal surfaces. Some applications, such as electronics, require a neutral-pH soap. This occurs, for instance, when you don’t want to damage copper filaments or remove thin layers of metal. Neutral-pH cleaning solutions are fine for parts with light surface contamination such as dust or light dirt particles. Ultrasonic watt density is a measure of how much ultrasonic power is available in a tank versus liquid volume. 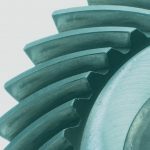 In general, lighter parts with less contamination need less power while bigger, heavier parts and gears require more power since more energy is absorbed by the part. 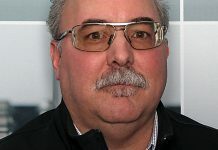 Typically, a watt density of 25 watts per gallon is fine for cleaning tanks larger than 30 to 40 gallons, he says. Smaller tanks, however, require higher watt density since there’s less opportunity for ultrasonic energy to reflect off the sides of the tank. 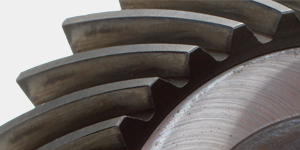 Most gear and gear part cleaning applications are done at 40 kHz, or 40,000 cycles per second. 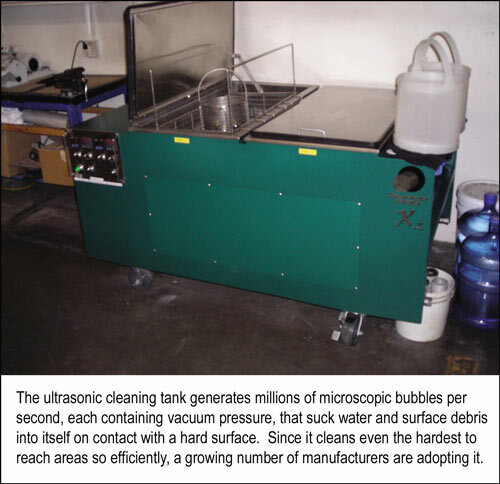 This means the ultrasonic tank creates 40,000 microscopic cleaning bubbles per second per transducer. 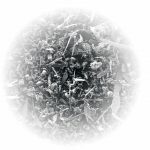 The 40 kHz rate is very effective at cleaning and maximizes equipment life expectancy. 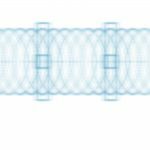 For heavy items, or items with heavy contamination, a lower 20 to 25 kHz output frequency is sometimes used since it produces a bigger, stronger cleaning bubble, though fewer per second. 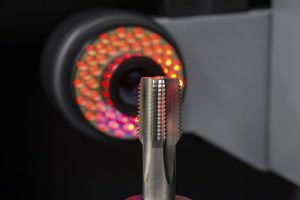 When cleaning submicron debris (smaller than one micron) from parts, high frequencies of 68 kHz or 170 kHz are occasionally used, especially in medical or electronic applications. 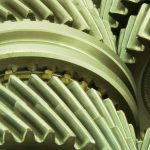 In choosing the right ultrasonic gear cleaning process, there are other factors to consider. If filtration is needed for floating contaminants, an overflow weir can enable the skimming of contaminants that float to the surface. For suspended contaminants you’d want to filter the entire bath. More-complex parts cleaning might require multiple washes or a rinse. 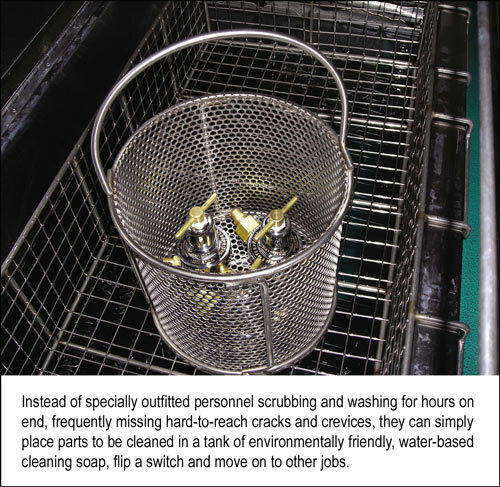 While the basics of ultrasonic cleaning are simple, there’s no question that getting the right guidance can help optimize a solution and minimize trial and error guessing. 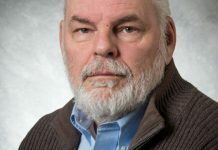 When this is the case, it makes sense to talk to a sales engineer who can help you pick the right equipment and process parameters for your application. 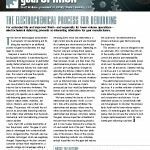 Whether looking to optimize an existing ultrasonic cleaning application or configure a new one, it’s best to seek a reliable partner with engineering expertise and a successful track record. 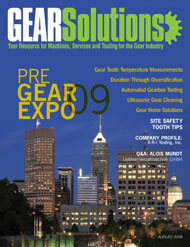 Omegasonics, for instance, has compiled a database of successful part cleaning applications over the past few decades. 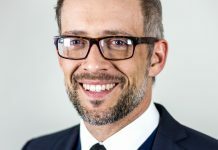 “With our database of process sheets we can quickly model successful applications in a range of industries,” Pedeflous says. The results are then optimized as necessary. 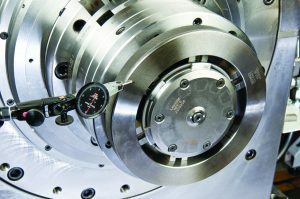 For truly unique applications, the company works with clients to test parts until the best combination of cleaning process variables is found. Gear manufacturers spend time, effort, and money making their finished products the best they can be. It is important to remember that “finished” means clean, made ready for final applications, assemblies, and/or shipment. 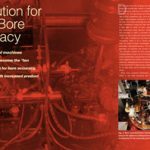 New technologies and techniques give the gear industry cleaning choices beyond traditional solvents. Parts washing entails numerous products and choices, from pressure sprayers, to agitation tanks, to ultrasonics. 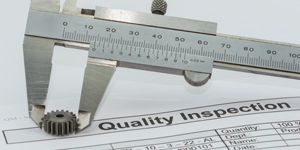 The right cleaning system choice will save time and money in the long run, and help ensure timely delivery of superior products. 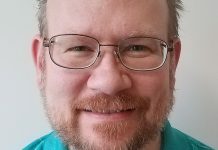 is a technical writer based in Torrance, California. For more information on Omegasics contact Frank Pedeflous at (805) 583-0875 or frankp@omegasonics.com. Visit online at [www.omegasonics.com].